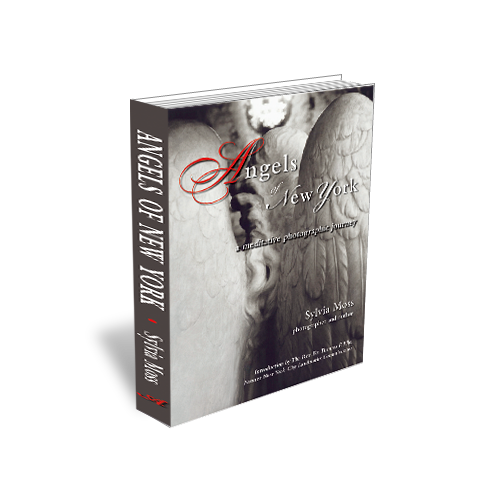 Angels have been blessing the streets of Manhattan for over a hundred years—sometimes from the unlikeliest of venues. Since the turn of the last century there is some angelic architecture that has faithfully kept watch over Bleecker Street in Lower Manhattan from the façade of the cream-colored terra-cotta Bayard-Condict building. An exquisitely detailed landmark, it is the only building in New York City executed by internationally acclaimed Chicago architect Louis Henry Sullivan, the teacher and mentor of Frank Lloyd Wright. With such credentials, one would think Mr. Sullivan could rise above any architectural challenge. Yet he also was tested in his work on the Bayard-Condict building. Sullivan had a large conflict with the building’s owner, who wanted angels at the roofline. Sullivan said absolutely not. He was not interested in angels and did not want them embellishing his creation. They went back and forth for some time after which Louis Sullivan succumbed to adorning the building with angels. It is speculated that perhaps he thought that angels were not suitably modern for his vision, but fortunately for us his client insisted on their presence. From their perch in the sky, the angels’ peaceful demeanor indicates that they are at home even in the most imposing of modern structures. If you like a good treasure hunt, the Bayard-Condict building is a prize indeed. The next time you are in New York City and want a visual treat to warm your heart, take a trip to lower Manhattan, in SoHo, on Bleecker Street between Lafayette and Broadway. On the north side of the street is a large thirteen story cream-colored, intricately carved office building with exquisite round and arch shaped windows. It is quite a feast for the eyes. If you back up and walk into Crosby Street you can see the top of this architectural beauty and the wondrous angelic sextet stretched across the building’s roofline. For an extra treat, go at dusk when the building is lit to see the beautiful glow against the night sky.